Search. So little has changed in the last 15 years. 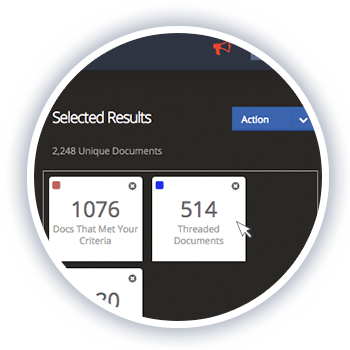 We took a fresh look at this critical action and how Sightline can help you better compose your query then finding and act on the results that matter for maximum workflow efficiency. Often, case teams go awry when they build searches using poor syntax, bloating the review or missing important documents. 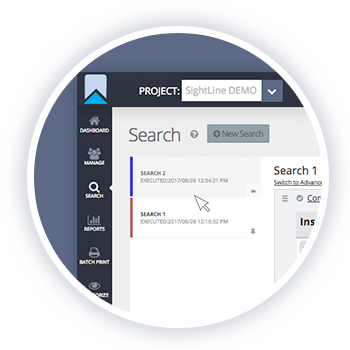 Sightline is designed to guide and inform so that even novices can craft the perfect search. Visualize the terms of your compound search to better understand if your query is properly constructed. 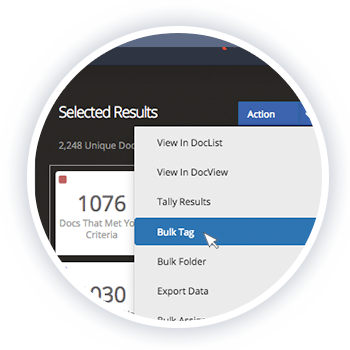 Access and search against metadata and work product data fields easily. Search against human speech found in audio recordings through the same searching interface as your text searches. Batch load groups of searches from a spreadsheet, share access to searches with team members and run search hit reports to select records of interest. When sorting through search results, keeping similar documents together just makes sense. That’s why Sightline displays threaded, textual near dupes, family members and conceptually similar documents in your search results interface. Case teams now have additional insights into how to streamline their review for greater efficiency. Sightline’s search experience is intuitively designed to promote query result comparison and selection. Compare and contrast multiple search results as tabs, then pin or save them for later reference. Select from across previous results to choose the optimal results. Updated count of unique selected documents are reflected in the shopping cart. Action the selected documents for assignment, tagging or exploration.